Weddings On Wheels® was founded with the intention of serving those couples wishing to wed who either did not have a church home, were not of any religious persuasion, or who wanted an officiant to perform their wedding ceremony at a location other than a church, a mayor's office or a judge's chambers. We offer the type of specialized services which civil officiants (mayors & judges) cannot or will not perform, and denominational ministers refuse to perform. Since our inception, we have expanded our ministry to include Baptisms, Christenings, Baby Blessings and Dedications, Commitment Ceremonies and NJ Civil Unions, Wedding Vow Renewals, Biblical Premarital Counseling, Hospital Visitations and Funerals/Memorial Services. Rev. Debbie is the founder and driving force behind Weddings On Wheels®. 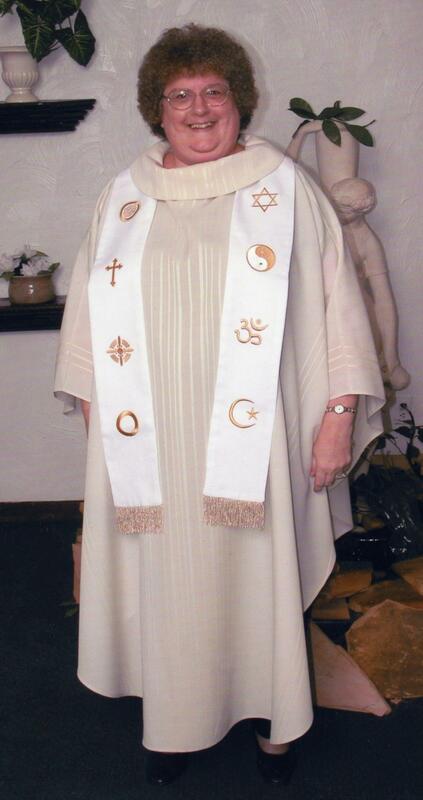 She was ordained as a non-denominational minister in 1998 and absolutely loves officiating weddings! Her warm personality and relaxed, friendly manner is guaranteed to put even Bridezilla at ease! Rev. David is a charming British gentleman who hails from Colchester, England. He became an ordained non-denominational minister in 2002. Rev. David's attention to detail (from Processional, to music, to Recessional) will insure that your wedding ceremony flows smoothly from start to finish.